Nicole Koenig is the deputy director at the Jaques Delors Institute Berlin. Her analysis “How the EU defends the rule of law and values – a patchy puzzle” was published in mid-September. Ms Koenig, Poland and Hungary are moving away from European values and are in violation of the rule of law, it is repeatedly said. What do we mean exactly when we talk about European values? And what is rule of law? European values are enshrined in Article 2 of the EU Treaty. In addition to the rule of law, for example, respect for human dignity, freedom, democracy, protection of minorities, solidarity, gender equality and equality. So it is a pretty broad canon. The rule of law principle is always emphasised because it is also seen as a precondition for preserving other values. The European Commission defines the rule of law by the fact that public authority is under the control of an independent and impartial judiciary within existing law and in line with the values of democracy and fundamental rights. The EU has initiated a procedure under Article 7 against Poland. What exactly is the government in Warsaw accused of? It is about a series of judicial reforms, most recently a law that reduces the retirement age of judges in the Supreme Court. As a result, about 30% of the judges will retire prematurely. The reform is considered politically motivated, meaning that it contradicts the principle of impartial, independent justice. Hungary is also in the spotlight, the European Parliament wants a case against Budapest. 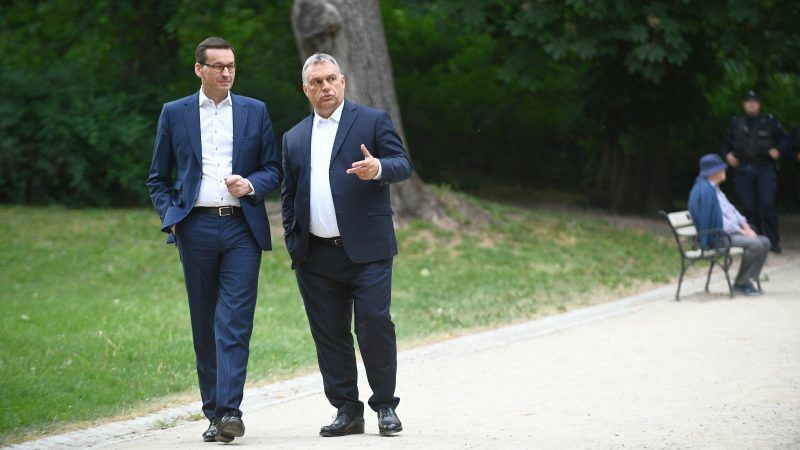 Orban’s government is accused of restrictions on freedom of expression and judicial independence. What is the difference between the Hungarian and the Polish case? If you look at the Parliament’s report on Hungary, you find that the allegations cover a much wider range of the values listed in Article 2. In the case of Poland, on the other hand, the focus is very clearly on the rule of law. There are also differences in the way the EU institutions deal with the two cases. Thus, in the dispute with Warsaw in 2016, the Commission activated the rule of law framework. This involves a structured dialogue on rule of law issues. It was also the Commission which, with the focus on the rule of law, proposed a procedure under Article 7. In the case of Hungary, however, the initiative for Article 7 came from the European Parliament. It is also debated in regard to some Western European countries whether the independence of the judiciary is respected. Corresponding data can be found in your analysis – for example with regard to Spain or Italy, where there are evidently great doubts about the independence of the courts. 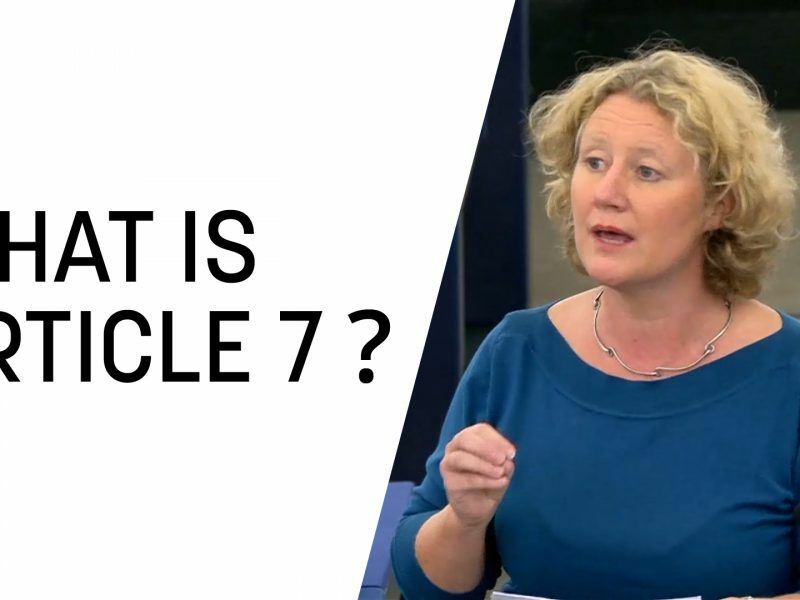 Why is Article 7 so far only discussed in the Central and Eastern European context? First of all, the indicator I have depicted in my paper refers to the perceived independence of national courts. In fact, this is also very low in some Western European countries such as Italy and Spain, and one might suspect that there is a link with real independence. In terms of perception, however, factors such as the general confidence of citizens in the state should also play a role. In principle, however, such a procedure can be initiated at any time in a Western European state if, for example, laws are passed which attack the common values in a similar systematic manner, as is currently the case in Poland and Hungary. The governments in Warsaw and Budapest have enacted laws that attract much attention because they very clearly discriminate against certain groups, restrict freedom of the press or restrict the promotion of NGOs from abroad. As a result, the focus is currently more on Central and Eastern Europe – not just Poland and Hungary, but also Romania and Bulgaria, for example. But Malta is also in focus due to the unsolved murder of the investigative journalist Daphne Caruana Galizia. Often it is such major events that draw attention to particular states. In addition, civil society plays an important role, raising alarm in their respective countries. But what can Article 7, also called ‘the nuclear option’, do? In order to actually impose sanctions, it requires unanimity of the member states. Poland and Hungary cover each other’s back. Bulgaria is also lending a hand. This is the sore point with Article 7. For a long time, the instrument was not used, also because one feared the loss of face when it comes to the vote. The first vote under Article 7.1 does not require unanimity but a 4/5 majority. But even then, the EU cannot be sure. As you said, there are several states that may be in focus or may get into focus. Here, if it come to a vote, we can see a closure of ranks. Incidentally, in the past, there have been frequent attempts to initiate a procedure under Article 7. Today, we have the situation that it actually came to this for the first time. For Poland and Hungary, the very fact of being in a process at all is unpleasant. Finally, it draws much attention to abuses in these countries. There is therefore a “naming and shaming”-effect, as can be seen in the vehement and negative reactions from Poland and Hungary. Thus, attempts are made to demonise the procedure as interference in internal affairs. It is true, however, that the enforcement of credible sanctions is currently problematic. Of course, the political constellations can change again, for example, in the elections in Poland next year, as their outcome is not foreseeable yet. As a result, there is a latent threat potential under Article 7 in the longer term. Nevertheless, it shows that the nuclear option has its difficulties and limitations. What alternatives to Article 7 does Brussels have? An often-used alternative is the infringement procedure, as was also initiated by the Commission in the case of Poland. It seems as if a bridge is being built here with legitimacy of the ECJ: Article 19.1 of the EU Treaty is to be combined with the member states having to provide the necessary legal remedies to ensure effective legal protection in those areas affected by EU law Article 47 of the EU Charter of Fundamental Rights, which establishes a right to an effective remedy and an impartial tribunal. Thus, a connection is established between the breach of treaties and common values. This combination has already been used in the past. But even this approach has its limits since the values are quite diverse and you always have to see in each case, which contract article could come to fruition and if the combination is then legally justifiable. Where this is the case, this option can be quite effective. After all, the ECJ can impose sensitive financial penalties. Therefore, the Polish government has recently moved away from the position of ignoring the verdict. 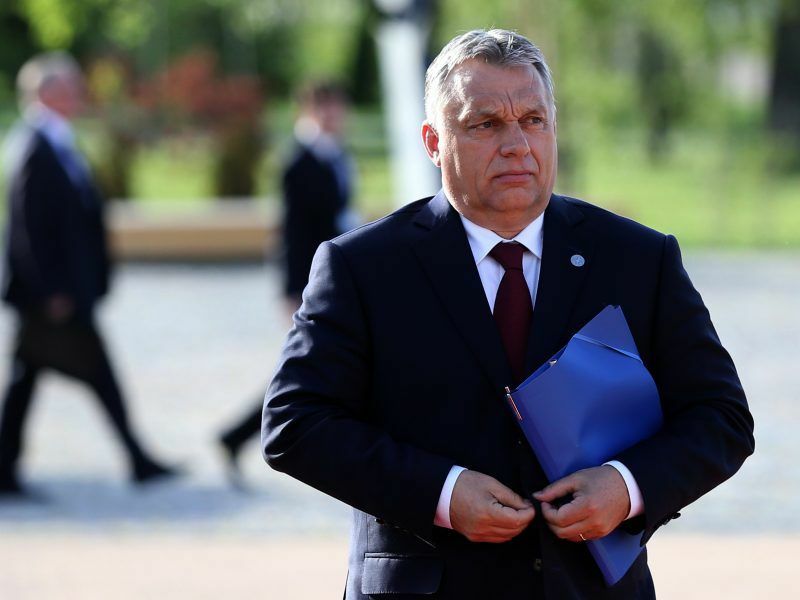 The European Parliament’s Committee on Civil Liberties, Justice and Home Affairs (LIBE) recommended on Monday (June 25) triggering an Article 7 procedure against Hungary for breaching the fundamental values of the Union under Viktor Orbán’s rule. In addition, there is the option to make conditional the allocation of funds from the EU Structural Funds, ie link them to the respect of constitutional standards. The argument would be: If the rule of law is affected in a country, it can no longer be expected that the financial resources will actually be effective. According to the Commission’s proposal, this would mean that funding could be suspended if it detects a violation of the rule of law. This would particularly affect southern and eastern European states, as they are relatively more dependent on structural funds. However, this would only require a political decision, presumably in the context of the negotiations on the next Multiannual Financial Framework (MFF). Given that so many countries are dependent on structural funds and therefore have a lot to lose, is that politically realistic? That’s the big question. So far, it is unclear on which decision-making procedure the draft regulation of the Commission can be adopted. The Commission aims for a proper legislative procedure. Then a qualified majority in the Council will suffice. Whether this is possible is currently under consideration by the Legal Service of the Council. It is also unclear to what extent this proposal can be decoupled from the overall package of the MFF, where the directives must be adopted unanimously by the European Council. So it remains to be seen how this debate develops. To conclude, would the EU’s toolkit be well equipped if such a conditionality of structural funds is enforced? Or would you like to supplement other instruments? The instrument of conditionality can be effective, albeit on a limited scale. It is quite conceivable that political enforcement is only possible if the criteria for the suspension of funds are very narrow. Where the instrument is still applicable, however, it would have potential for threats. After all, the suspension of the structural funds means a lot of money. Either way, this covers only a small subset of European values. That’s not enough. What is missing are alternatives to Article 7, which sanction the entire range of values. An important point of criticism is the lack of a common instance or a common catalog of criteria, by means of which the observance of the values ​​can be periodically checked and sanctions can be stimulated. That would be an approach that could be pursued in the short term as it would, in principle, be feasible under existing treaties. Of course, in the medium to long term the question arises as to whether Article 7 should be reformed as part of a treaty change in order to increase the usability of the process by lowering the barriers.